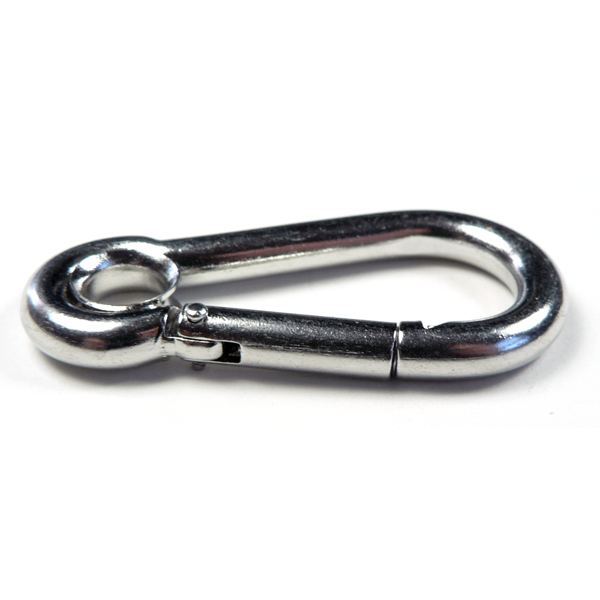 Carabiner style clip made of stainless steel. 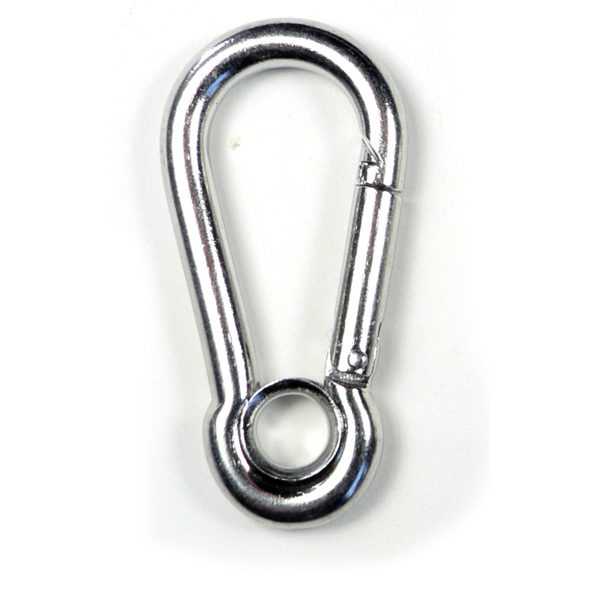 Ideal for quickly attaching two or more items together. Great key clip for consolidating separate key rings. 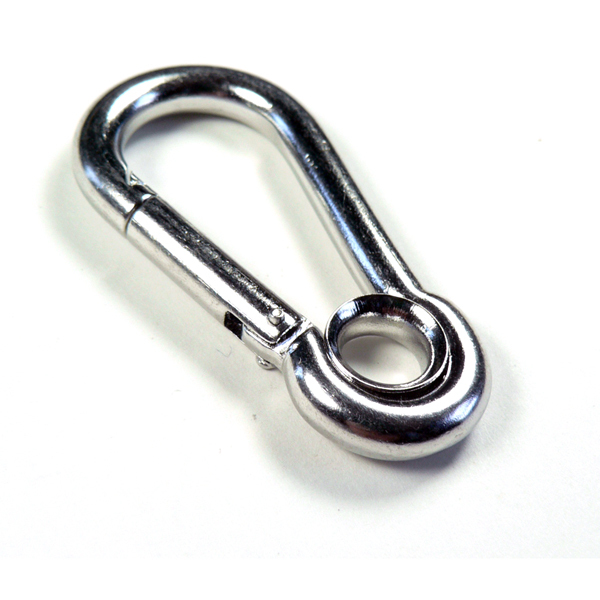 Attaches to chain, fixed and mounted rings and rope tethers and lanyards. This version has a formed eye.